BUENOS AIRES (Reuters) - Argentina vowed on Tuesday to crack down on any anarchists and anti-capitalist protesters who try to disrupt next week's Group of 20 gathering in Buenos Aires, saying it was working with foreign governments to identify and block entry to potential trouble-makers. Argentina's government, which faces near daily, occasionally violent protests over its economic austerity program, does not want a repeat of the havoc that overshadowed last year's summit of leaders from key industrialized and developing nations in Hamburg, Germany. Protesters set cars on fire and blocked streets and bridges leading to the summit venue. 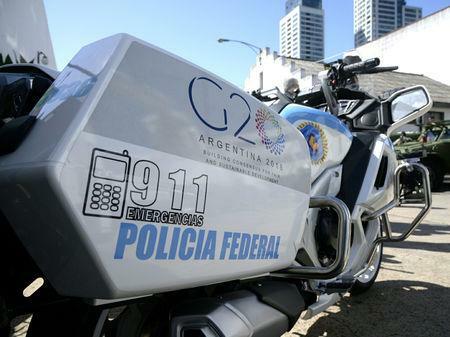 This year's G20 summit will be held in the Argentine capital from Nov. 30 to Dec. 1. Local leftist groups are planning marches against the gathering and have invited activists from around the world to join them. Neither the groups nor the government say they will tolerate violence. "We will not permit illegal acts. Those who want to cross the line will have to face the legal consequences," Security Minister Patricia Bullrich told reporters. 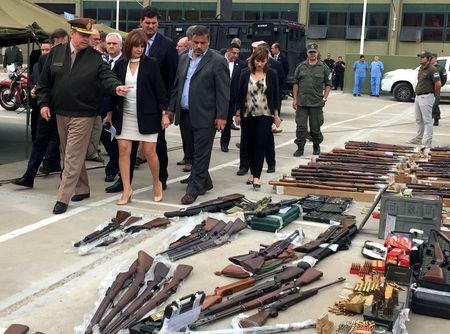 "People already facing criminal charges, or who have called for violence or illegal behaviour, will not be allowed to enter the country," Bullrich said. Sources familiar with U.S. government assessments said Washington was unaware of any serious threat of attacks or disruptions of the G20 meeting. 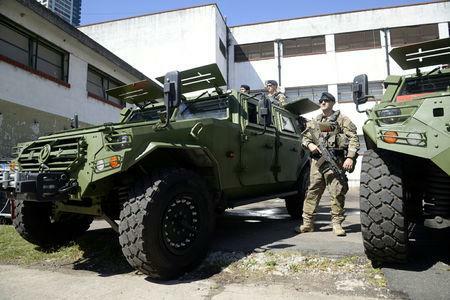 They said Argentina's relative remoteness could deter some protesters from travelling there. Asked if any members of violence-prone international groups had already tried to enter Argentina, Hernan Lombardi, technical coordinator of the gathering, said, "There have been no signs of that so far." December is usually the month when protests over Argentina's chronically troubled economy turn violent. With inflation at a dizzying 45 percent and the economy contracting, popular unrest could be an additional security factor. Protesters have often taken out their fury about fast-rising prices at Christmas-time by burning stores and blocking roads. Last December police used tear gas, rubber bullets and water cannon to push back rock-throwing protesters angry about the government's pension reform plan. Police also clashed with protesters outside parliament in October as lawmakers debated a new budget containing steep spending cuts aimed at erasing the country's fiscal deficit. Authorities will cordon off a 12-square-kilometer (5-square-mile) area around the riverside Costa Salguero convention centre, where the summit will be held. Wide parts of Buenos Aires and its transportation system will be shut down. Traffic on the River Plate, Argentina's main cargo thoroughfare, will be suspended.